Yarrow is a common weed, but its benefits are anything but common. Yarrow tea’s health benefits range from reducing menstrual cramps and bleeding to healing wounds and increasing urine output. The tea has two uses- taken orally or applied locally. Yarrow is a simple, upright, narrow plant that has feathery leaves and white flowers. Yarrow, Achillea millefolium, blooms between June and September and may also show pink or purple flowers when it grows in the mountains. It is common in the Northern Hemisphere and you will find it growing in grasslands, chalk lands and along the road sides. You can harvest Yarrow and dry the leaves to make your own teas or tinctures. What is Yarrow Tea Good For? Yarrow’s health-boosting benefits make it a go-to choice for a relaxing evening cup of tea. As part of a daily routine, yarrow helps to keep circulation at peak, reduces stomach discomforts and helps women to have more comfortable menstrual cycles. On the flip side, it is also useful for women who have an absence of menses. It stimulates the system. It should not be consumed by pregnant women. What Does Yarrow Tea Taste Like? Yarrow tea has a bitter taste. A warm, bitter tea stimulates your system, but may not appeal to your tastes. You can add honey, lemon or sugar to mask the bitterness and make it a more palatable beverage. The strong, pungent aroma of yarrow also helps to clear your congestion and open up the skin. You can combine yarrow tea with other teas such as peppermint or elderflower, which also boosts it’s healing properties when you have a cold and stimulates your digestion.Combine yarrow tea with other stimulating teas such as green tea to increase your energy level. 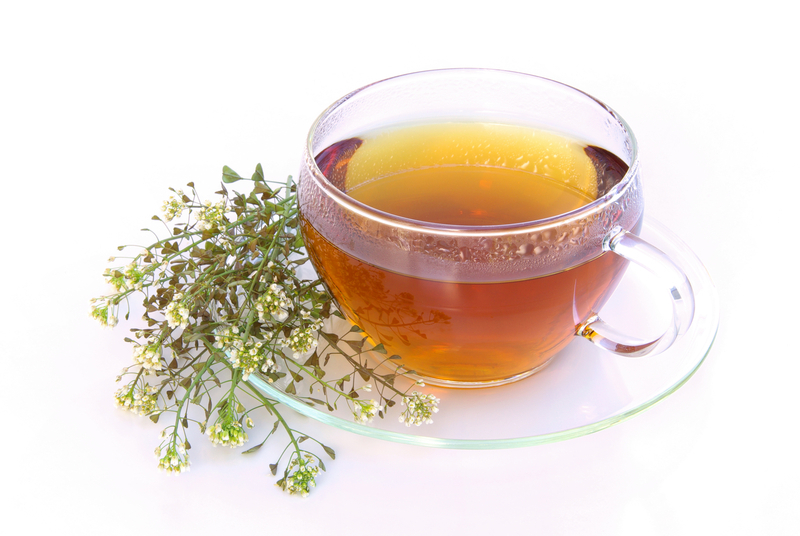 To enhance the relaxation benefits, combine yarrow with other calming teas such as chamomile or lavender. increasing sweating and urination due do its diuretic effects. This helps to reduce fever and swelling. antimicrobial properties which may help to reduce the duration of infections, colds, and bacterial ailments. stimulates circulation which may help to improve blood pressure. reducing heavy menstrual cycles and causing menses in women who are having an absence of them. Are There Any Side Effects from Yarrow Tea? If you are allergic to ragweed or related plants such as chrysanthemums, marigolds or daisies, you may experience an allergic reaction to yarrow tea. Other known side effects include drowsiness and increased urination. Yarrow tea may also interact with medications used to control blood pressure, drowsiness, blood thinning and those that contain lithium. Since yarrow changes bleeding, it is not recommended for use before surgery. Always check with your doctor for specific concerns related to your health. 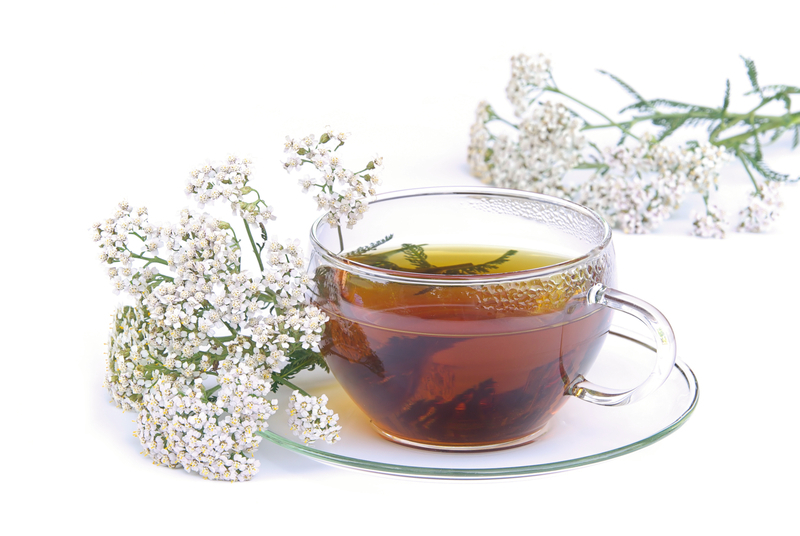 You can purchase pre-made yarrow tea and enjoy one or two cups a day between meals. Or, you can add a teaspoon full of dried yarrow herb to 1 cup of boiling water. Let steep to your desired taste. Cool and enjoy! Check with your physician first. Who Can Benefit from Yarrow Tea? Yarrow tea is beneficial for those suffering from conditions of the blood, anxiety, inflammation or gastrointestinal. Women of menstruating age also benefit from yarrow as it can help to regulate bleeding. Legend has it that yarrow got its name from the Greek mythical God, Achilles who used the herb to stop soldier’s bleeding. Yarrow is also known as soldier’s herb since it is used to stop bleeding. Fresh yarrow leaves can be chewed to relieve toothaches.